This charity is very close to our hearts as we've seen first hand the efforts they make to improve the lives of people with life-threatening diseases. Back in 2009 AJ's mum Kath was diagnosed with cancer and given just 18 months to live. Despite this news her attitude throughout was to make the most of her life and prove the predictions wrong. Kath never gave up on anything, she smiled through it all and her positivity meant she fought on for another 4 and a half years. In the summer of 2013 the fight became tougher and tougher. Her family were all around her but there was one place that also gave her strength, support, care and at the same time independence and freedom. 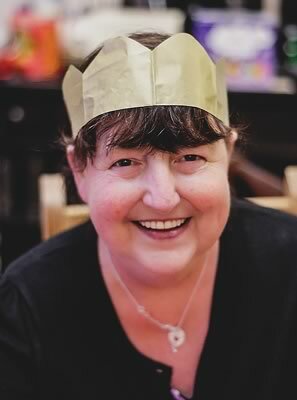 Pendleside Hospice was that place and we are so grateful for their help and positivity, it helped us all as well as Kath. She used to love having a stroll in the gardens, bird watching, the parties they put on and buying presents there, as well as the food which was just awesome! We are now donating a percentage of each of our wedding bookings to Pendleside Hospice as our way of saying thank you and to help them continue with the amazing work they do. You can find more about Pendleside here and donate to their Just Giving page. 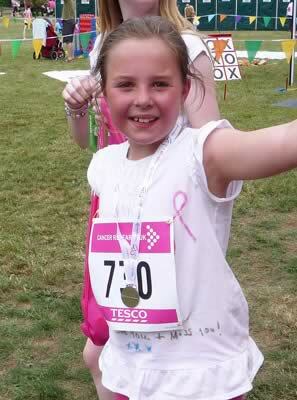 This is 10 year old Bethany Rose's inspirational campaign to raise £5,000 for Breast Cancer Care following the tragic loss of her mum, Katy (38) to breast cancer in 2010. Candle Makers Melt of Clitheroe kindly made a special range of candles in memory of Katy and to help raise money with Candle 4 Katy. If you'd like to purchase a candle just call 01200 443377. We have supported the campaign by donating a percentage of all proceeds to the cause raising a total of £972.50 - all down to our lovely couples, you know who you are! If you'd like to donate you can do so by following the link below. As an art teacher Katy was a very creative person so it's been an honour to use our creativity to remember her. To donate to the campaign please visit the Just Giving page.